Thank you for choosing HydroShield. By selecting HydroShield to restore and protect your grout, you have ensured long lasting beauty and durability. To clean your newly restored grout, be sure to first vacuum any loose dirt. Apply a neutral pH cleaner using a sponge or mop. Once cleaner is applied to the surface, allow it to sit for several minutes. This will allow the cleaner to loosen any stubborn dirt and oils that may be present. Be sure to AVOID ANY SCRUBBING. Once cleaner has been allowed to sit on the surface, take a mop or towel and wipe dry. 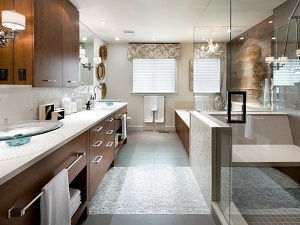 Be sure to dry the grout lines where any dirt and dust may have settled from the cleaning process. 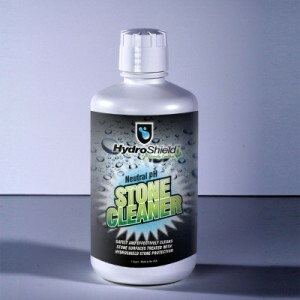 For best results, use HydroShield Neutral pH Cleaner. 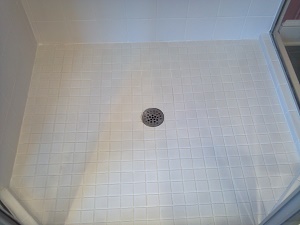 It is safe for our grout color seal and is anti-bacterial; leaving grout amazingly clean and sanitary. We love our cleaner and know you will too! HydroShield protected surfaces are not self-cleaning. HydroShield surfaces are up to 75% easier to clean because the dirt and grime no longer penetrate the surface, but sit on top of the HydroShield coating. For further care tips or questions, please feel free to contact us.